It’s an unfortunate thing to be caught up in a situation whereby you or someone you love has been harmed as a result of medical error. But to play devil’s advocate the majority of doctors don’t generally set out to harm their patients but want to actually help make people better – which is not a bad thing. We say “majority”, because there are those that use the medical profession to intentionally harm others under the disguise of helping. Such examples would be Dr. Harold Shipman, a general practitioner in the UK who was jailed for killing many of his patients; or psychiatry – an industry renown for huge numbers of psychiatric doctors being sent to jail for crimes, or licenses being revoked for serious medical misconduct. With that being said, medical malpractice does occur, whether intentionally or not, causing one to want to take action. We will discuss here what medical malpractice is in the eyes of the law and what steps you can take for proving medical malpractice. First of all, what is medical malpractice in the eyes of the law? Medical malpractice is a term used when errors are made in the field of medicine - such as by a doctor, hospital, or healthcare provider - causing injury to a patient. The injury is caused through negligence in diagnosis, treatment, or aftercare of the patient. Negligence is defined by law as: A failure to behave with the level of care that someone of ordinary prudence (judgment) would have exercised under the same circumstances. The behavior usually consists of actions (doing something), but can also consist of omissions (not doing something) when there is some duty to act. A violation of the standard of medical care - the law recognizes there are certain medical standards as being acceptable within the healthcare profession. This is known as the standard of care. A patient has the right to expect that doctors, hospitals or healthcare professionals will deliver care that is consistent with these standards. If any investigation proof determines the standard of care hasn’t been reached, then negligence could be established. An injury was caused by the negligence - for a medical malpractice case to be proven valid, it’s not sufficient enough that the doctor, hospital, or healthcare professional to have just violated the standard of care. The medical malpractice investigation must also prove that the patient sustained an injury due to the negligence; an injury that wouldn’t have occurred in the absence of that negligence. An unfortunate outcome by itself is not malpractice. The investigation must prove that negligence caused the injury. You have no case if there’s an injury without negligence; or, if negligence was present but did not cause an injury. The injury resulted in significant damages - medical malpractice investigations are extremely expensive to investigate and bring to trial. This type of case often requires lawyers, testimony of medical experts, and many hours of investigating to find the proof required. For a case to be financially viable, the medical negligence investigation must show that the patient has sustained significant damages as a result of an injury received due to medical negligence. If the damages are small, the cost of pursuing the medical malpractice case might be greater than the eventual recovery. To pursue a medical malpractice claim, the patient must show that the injury resulted in disability, unusual pain, suffering and hardship, loss of income, or significant past and future medical bills. Proving negligence in a medical malpractice case can be tough on someone who doesn’t have knowledge of the medical field. It’s a minefield of complex scientific jargon which is why you will need specialists to help you. Without a doubt you will probably need to hire the services of a lawyer, but they can be costly. It is recommended to seek an initial consultation with a medical malpractice lawyer to see where you stand legally. An initial consultation is usually free for a certain amount of time (usually half an hour) and depending on your case the lawyer will give you some indications of the likelihood of success. Besides seeing what laws could have been broken, lawyers will consider many things regarding your case, such as what evidence is available to them, how hard will it be to build and prove your case, the chances of a successful outcome and viability. + Take depositions of medical experts, medical personnel and other parties related to the case. + Work with legal nurse consultants to analyze and review your case, medical records, doctor's notes, etc. + Obtain all medical records; including diagnoses, treatments, etc. + Background checks of healthcare workers for past medical malpractices, disciplinary actions, correct qualifications to practice, substance abuse, etc. A medical malpractice investigator can help build your case in a way that would be too irresistible for any lawyer not to take it on. 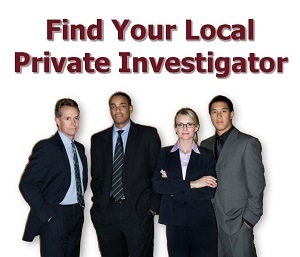 The investigator will know what evidence to look for, where to find it, and how to get it. This evidence can then be presented to a medical malpractice lawyer to ready for trial. One of the best things you can do to help build your case is to document everything. You should create a medical journal diarizing everything that has happened and is happening as a result of hospital or medical treatment; you consider being negligent. Where you can you should contact anyone that was a party to, or present at anytime during any aspect of your case, particularly during the specific incident that lead up to and caused the injury. Try and obtain their contact details for the medical malpractice investigator or lawyer, who will most certainly want to interview them. You should also obtain medical records from the healthcare provider you are investigating. Most countries have certain laws that allow individuals to obtain their own medical records quite easily and must comply within a certain amount of time. If requesting another’s medical records you will certainly need to get their written permission. This is usually more difficult with lots of red tape for obvious reasons. Do not try and obtain another’s medical records without the patient’s permission as this is usually illegal. In the U.S. under the federal Health Information Portability and Accountability Act (HIPAA) gives patients the right to obtain a copy of their medical records from any medical provider, with a few exceptions. You simply want to record everything and keep all documentation regarding the negligence incident as proof. All of the information written down and gathered will be of some use to your medical malpractice lawyer and investigator and they will decide what information will benefit your case. 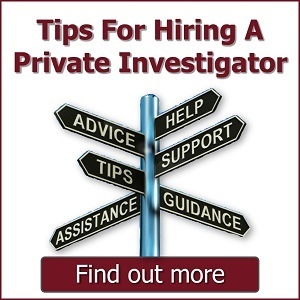 If you require the services of a medical malpractice investigator then search our investigator directory.